Brian Kelly is a household name in the financial world. The Wall Street vet has spoken of cryptocurrencies and blockchain in the past, but now, it appears the investment manager is going all in. How? By starting a blockchain ETF. On Wednesday, Brian Kelly announced that he is starting a blockchain-based ETF, otherwise known an exchange-traded fund. For those who don’t know, Brian Kelly is the CEO of the BKCM fund, which is an independent investment firm. The BKCM fund focuses primarily on crypto and blockchain. The investor and author confirmed that he will be working alongside Gregg King, REX Shares founder. The plan is to manage a portfolio of around 30 companies, using blockchain technology. Essentially, Kelly and King want to allow investors an efficient way to capitalize on the hype surrounding blockchain technology. In an interview, Kelly stated that people ask him how to invest in blockchain all the time. Specifically, how to invest without worrying about storage and hacking. The BKC ETF is Kelly’s attempt at a solution to this problem. The RexShares website provided some important details about the blockchain ETF. It’s not just Brian Kelly that’s excited about the blockchain ETF. Though, he is — he’s shared the news both in interviews and on social media. REX Shares is just as much a part of the blockchain ETF, and the organization made its voice heard today too. The crypto and blockchain communities appear to be optimistic about the blockchain ETF. In fact, even Fundstrat co-founder Thomas Lee joined in on the conversation, tweeting his congrats to Brian Kelly. 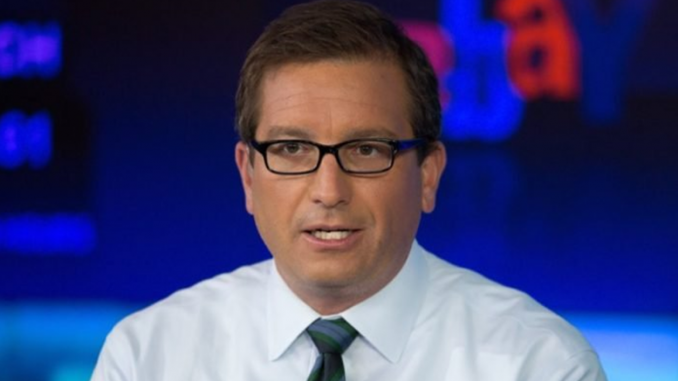 TV legend and Wall Street staple @BKBrianKelly is launching a Blockchain ETF. What do you think about Brian Kelly and REX Shares’ blockchain ETF? This is just one of the many announcements to surface during the week of Consensus 2018.